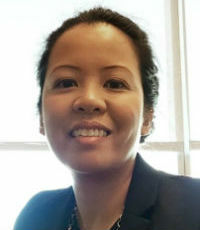 Liza Abad began her risk management career during the boom and bust of energy merchant/trading, managing credit risk through the Enron collapse and subsequent industry downturn. After those formative years, Abad joined the risk group of global energy company Hess Corporation, managing credit risk for commodity trading and marketing groups. After getting her MBA, she transitioned into enterprise risk and strategy. In the latter, she served in an advisory capacity, shepherding country risk monitoring, new country entry and country risk scoring methodology. Currently as enterprise risk manager, Abad is responsible for leading the development of a risk standard and enterprise risk implementation at corporate, regional and operational headquarters. Passionate about sharing and building her knowledge of risk best practices, Abad has served in leadership roles at risk professional organizations and actively speaks on topics of enterprise risk, business continuity, systemic risk and credit risk at events such as EnergyRisk USA and Columbia University’s Energy Symposium.